The First Unitarian Church was crowded last night to hear Vive Kananda. The audience was composed of people who came from Jefferson Avenue and the upper part of Woodward Avenue. Most of it was ladies who seemed deeply interested in the address and applauded several remarks of the Brahman with much enthusiasm. The love that was dwelt upon by the speaker was not the love that goes with passion, but a pure and holy love that one in India feels for his God. As Vive Kananda stated at the commencement of his address the subject was "The Love the Indian Feels for His God." But he did not preach to his text. The major portion of his address was an attack on the Christian religion. The religion of the Indian and the love of his God was the minor portion. The points in his address were illustrated with several applicable anecdotes of famous people in the history. The subjects of the anecdotes were renowned Mogul emperors of his native land and not of the native Hindu kings. The professors of religion were divided into two classes by the lecturer, the followers of knowledge and the followers of devotion. The end in the life of the followers of knowledge was experience. The end in the life of the devotee was love. Love, he said, was a sacrifice. It never takes, but it always gives. The Hindu never asks anything of his God, never prayed for salvation and a happy hereafter, but instead lets his whole soul go out to his God in an entrancing love. That beautiful state of existence could only be gained when a person felt an overwhelming want of God. Then God came in all of His fullness. There were three different ways of looking at God. One was to look upon Him as a mighty personage and fall down and worship His might. Another was to worship Him as a father. In India the father always punished the children and an element of fear was mixed with the regard and love for a father. Still another way to think of God was as a mother. In India a mother was always truly loved and reverenced. That was the Indian's way of looking at their God. Kananda said that a true lover of God would be so wrapt up in his love that he would have no time to stop and tell members of another sect that they were following the wrong road to secure the God, and strive to bring him to his way of thinking. 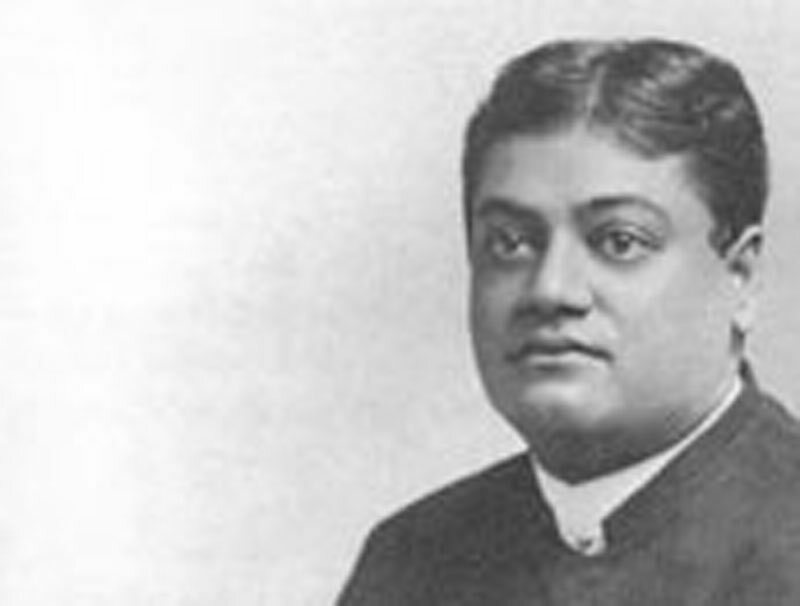 If Vive Kananda, the Brahmin monk, who is delivering a lecture course in this city could be induced to remain for a week longer, the largest hall in Detroit would not hold the crowds which would be anxious to hear him. He has become a veritable fad, as last evening every seat in the Unitarian church was occupied, and many were compelled to stand throughout the entire lecture. The speaker's subject was, "The Love of God". His definition of love was "something absolutely unselfish; that which has no thought beyond the glorification and adoration of the object upon which our affections are bestowed." Love, he said, is a quality which bows down And worships and asks nothing in return. Love of God, he thought, was different. God is not accepted, he said, because we really need him, except for selfish purposes. His lecture was replete with story and anecdote, all going to show the selfish motive underlying the motive of love for God. The Songs of Solomon were cited by the lecturer as the most beautiful portion of the Christian Bible and yet he had heard with deep regret that there was a possibility of their being removed. "In fact," he declared, as a sort clinching argument at the close, "the love of God appears to be based upon a theory of 'What can I get out of it?' Christians are so selfish in their love that they are continually asking God to give them something, including all manner of selfish things. Modern religion is, therefore, nothing but a mere hobby and fashion and people flock to church like a lot of sheep."